Plunge Bottle Stopper - Goofts, funny gifts, gags and pranks. Don't let your fine wine go down the drain - Plunge it! 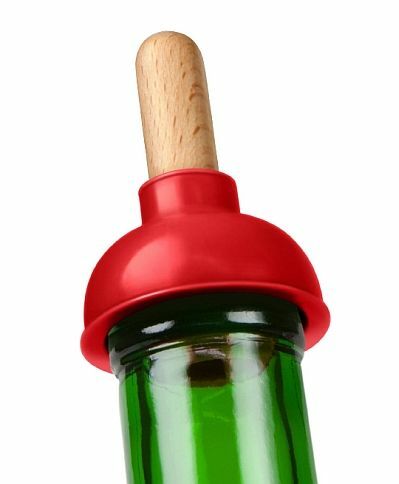 Plunge stops up your bottle with an airtight seal so your wine will live to be sipped another day.